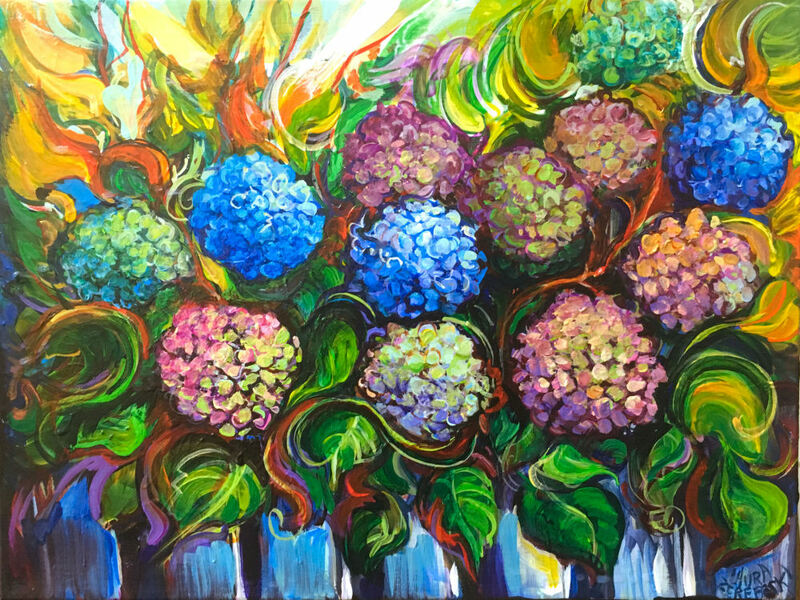 I was inspired by a variegated hydrangea bush that I pass on my way to work. I watched it as it went from full and showy to faded and subtle. The faded and subtle colors seemed even more beautiful.